Took off from RAF Breighton, Yorkshire, in Lancaster ED521 AR+B at 2044 to bomb Duisurg. Lost without trace. All are commemorated on the Runnymeade Memorial. Avro Lancaster ED521 served with 460 Sqn from 25/02/43 to 09/04/43, coded AR-B and took part in a total of 9 missions. 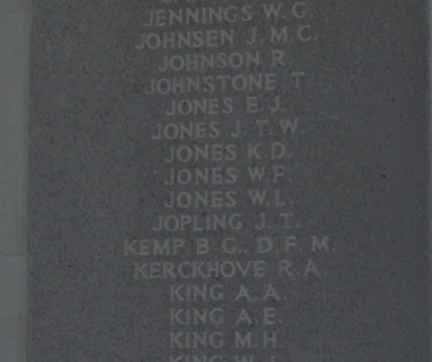 WR CHorley "Bomber Command Losses"